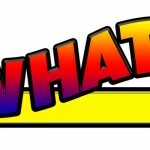 Blog | What? Did You Really Say What I Think I Heard? PROBLEM: The problem is not in getting our solution sold; it’s in getting our solution bought. Buyers have Pre-Sales work to do that doesn’t involve the content we spend a lot of resource trying to push on them. Our sales and marketing efforts are set to seek ways to ‘get in’, get read, or determine ‘need’, ignoring the buyer’s need to figure out how to do their real change work: to assemble the most appropriate people, get consensus, try workarounds, and manage change. Because of the selling biases in our listening and questioning, we extract partial data, from people who don’t have the full fact pattern yet; promised dates get ignored; people disappear; there is no buy-in. We waste our time pushing content and waiting, hoping they’ll buy, instead of entering earlier to facilitate the change with them. PROBLEM: The flaw in the sales model: designed to place solutions, sales starts selling before buyers are ready/able to buy, restricting success to those who deem themselves ready- the low hanging fruit (5%). Indeed, buyers don’t want to buy anything: they just want to solve a (business) problem with the least disruption. PROBLEM: The status quo is preferred and is the basis of decision making. Regardless of a buyer’s real need, or the relevance of our solution; regardless of relationship or pitch/content/price; it is only when there is buy-in for systemic change, and an action plan that manages disruption, will buyers investigate the most agreeable solution. This holds true regardless of type or price of solution. SOLUTION: Buying Facilitation® is a unique consulting model that facilitates change and decision making. Used with the sales model, it enters the buyer’s buying decision process to facilitate excellence, teaching buyers how to manage all the systems/change stuff they must do: recognize and manage all of the back-end, idiosyncratic, internal issues they must address before they can consider a change in the area our solution can help in (i.e. you’re not helping them determine if they need new software if you sell leadership training.). It can be used with small personal products, cold calls, help desks, complex sales, and marketing. A non-biased change management model, BF uses a new form of listening (Listening for Systems) and a new form of direction-driven/non-biased question (Facilitative Question) to facilitate our buyer’s journey through the steps of change only they can make – change that would include our solution for those ready. 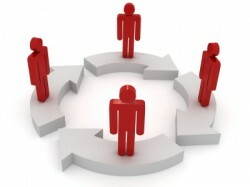 Once BF has supported buyers through the steps of their decision making, we are already in place, on their team. Makes it much easier to sell. A. Control group Sales: 100 calls, 10 appointments, 2 closed sales in 11 months. B. Buying Facilitation®: 100 calls, 37 appointments, 29 closed sales in 3 months. Here’s the thinking: Given all small businesses have some banking relationship, the only businesses who would want to meet to discuss new banking services were; 1. those who weren’t happy with their current bank, or 2. had bankers who might not be able to provide what they might need. Attempting to get an appointment because ‘we want to understand your needs’ or ‘show you our new solutions’ etc. to prove we’re “better”, or to try to convince them to change suppliers, meant we would seem to be attacking their current vendors and current relationships. Not to mention pitching into a closed environment, leaving us hoping that the spaghetti would stick somewhere. That approach got a 90% refusal to even meet. Nope. No need to meet. We’ve got a bank, thank you. By focusing on helping them determine how they’d manage if they needed more than their current providers could supply, and by helping them figure out where they could add a new resource without disrupting current working relationships, we vastly expanded the field of possible buyers and instantly eliminated those who would never buy. It proved a winning tactic: 37 made appointments just from that opening question (up from 10). During the field visit we helped them get buy-in and consensus to bring in an additional vendor – us. Win/win. Collaboration. True facilitation. CONCLUSION: Buying Facilitation® is not sales, not a solution placement tool, not an information gathering tool, and not a persuasion tactic. 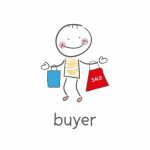 It’s not content-driven, and sellers don’t try to understand a buyer’s needs until the time when the buyers 1. have the complete set of ‘givens’ they need in order to consider all of the elements of change (including, but not limited to, buying something); 2. are ready to adapt to change and there is consensus. There’s no manipulation, no persuasion, no influencing. It’s a win/win collaboration, servant leader model: we actually facilitate buyer readiness. I can’t say this enough: buyers go through this anyway, without us. We can push stuff at them while we wait for them to show up, or we can facilitate them through the length of it. It can be your competitive edge. We can teach people how to change/buy; we can shorten the time to buy by making their change process efficient; we are helping them determine how, and when, they need us. It’s a facilitation, not a push. And we end up with real prospects who we’ve helped get ready to buy. Not to mention the collaboration, trust, respect, and integrity built into the interaction creates lasting relationships when used throughout the relationship. The good news is that you can still sell – but use your time to sell to those who are indeed ready willing and able, rather than waste 90% of your time trying to manipulate, pitch, persuade, push, ‘get through the door’, network, write content, etc. You can help those who CAN buy get their ducks in a row and quickly eliminate those who will never buy because it will become obvious to you both. I’m not suggesting you don’t sell; I’m merely suggesting you spend your selling time only on those who WILL buy, and set that up by first facilitating prospective buyers down their own buying decision path. Alexa, Siri, Google, and all programs that answer questions, have mechanisms that determine the answers. If you’re like me, you largely assume they are accurate, without us knowing the reference material or checking further. We actually do this in our daily lives – pose questions to friends, colleagues, and clients, about stuff we’re curious about, and receive responses we don’t check for accuracy or congruence. Have you ever wondered what a question actually is? Conventionally, questions are posed to elicit a response, to gather data from a Responder, like “How many children do you have?” or “Why are you doing that?” Parents and spouses sometimes use questions to point out insufficiencies or annoyances, as in “Didn’t you notice the dishes haven’t been done?” Sometimes we use them rhetorically to demand fairness in the world, like in “Why is this happening to me? ?” Sometimes questions are deemed ‘closed’, like in, “What time is dinner?” Sometimes they’re ‘open’, like in, “What do you want to eat?” But there is a unifying feature to all conventional questions: questions are biased by the needs of the Asker to elicit data from the Responder, with the assumption that our questions will extract the information we intend. Of course, most of the time, conventional questions work just fine. How else could we find out how many acres there are at Machu Picchu, or which movie our spouse wants to see? But I believe we are underutilizing questions. I believe it’s possible for questions to serve a higher purpose – to collect accurate data, of course, but also to help others discover their own answers and path to decision making and change. What if it were possible to use questions to actually lead people through their unconscious discovery process to uncover their own best answers – without any bias from the Asker? There is a reason questions don’t necessarily unearth accurate data. Using uniquely chosen words and an outcome biased by the curiosity, needs, and assumptions of Askers, influencers extract a restricted subset of data from Responders, all answers being some degree removed from the complete set of available responses. Indeed, questions impose limits that often have some percentage probability of missing the mark, being misunderstood or interpreted badly. There are several reasons for this. Information: because information is elicited by the needs or curiosity – the bias – of the Asker, real answers may not be captured. The wording, the request, the topic, the intent, and/or the vocabulary may offend or annoy, given differences between the Responder’s and Asker’s beliefs, communication skills, and lifestyles. Listening: words and meaning are merely our brain’s interpretations of sound waves that enter our ears through our unique neural pathways, guaranteeing we understand what’s been said as per our unconscious biases. Obviously, we often misunderstand or misinterpret the intended message and potentially miss the intent of the question entirely. I wrote an entire book on this (What? Did you really say what I think I heard?. Given these natural biases, it’s likely that what we think we’ve heard is some degree off of what was intended. Read my article on this: We don’t know how to hear each other. Biased question formulation: Askers use words that will hopefully elicit good data for a specific goal and outcome, and may not elicit the best responses. Sadly, it’s possible that more accurate answers could have been retrieved with a different wording or intent. Restriction: questions restrict answers to the boundaries of the question. You cannot uncover data you never asked for, even if it’s available. You cannot elicit accurate data if the question is heard differently than intended. If I ask you what type of summer shoes you wear, you’re not going to explain the foot surgeries you’ve had. Are you getting the point here? Questions are biased by the Asker in several ways, with so much bias built in it’s a miracle people communicate at all. And the Responder? Well, a Responder is at the mercy of the question. This is especially disturbing in coaching, healthcare, and leadership situations. Well-meaning professionals believe they’ll instigate a truth from a Responder, exposed by the ‘right’ question; or that the Other will discover the ‘right’ answer if they search their brains in ‘this direction’. Every coach and leader I’ve met deeply believes in their own knack – ‘intuition’ – for posing the ‘right’ question because they have a history of similar situations and ‘know’ where another’s answer most probably lie. Yet we all have examples where these assumptions have proven false. Sometimes the influencer has control issues and doesn’t trust the Other to have the ‘right’ opinions or ideas and believes they know more; sometimes they pose biased questions that elicit incorrect data, or worded in a way that unwittingly creates resistance to the assumptions built into them. And sadly, when they’re certain their questions are the right ones, blame Responders who don’t comply, or respond with ‘bad’ or ‘wrong’ or ‘deceptive’ answers. And worse, patients end up keeping bad habits, clients end up not making needed changes, buyers end up not getting what they need. As someone who has thought deeply, and written, about the physiology of change and decision making for decades, I began pondering this conundrum in the 1980s. 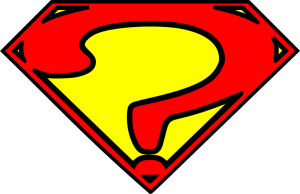 I wondered if questions could be used for something other than eliciting information and instead could direct Responders through their brain toward taking congruent action. What if the intent of the Asker was to facilitate Others in discovering their own route to change with no bias, no ego, no personal needs from the Asker for a particular solution – only the trust that Others had their own answers and merely had to discover them? What if healthcare professionals asked questions that triggered patients to positive, immediate habit change, or coaches knew the exact questions that enabled new habit formation and behavior generation? What if scientists and consultants could elicit the most accurate information? And imagine if it were possible for questions to help advertisers actually inspire action and sellers to generate Buyer Readiness. What if a question could be worded in a specific way to act as a GPS to lead a Responder through a sequence in their brain to unearth the accurate data? To make it possible to discover the full set of criteria to make a decision from? I’m going to get a bit wonky here, so hang with me because what I discovered is not obvious. I began studying neuroscience to learn how to sequence the elements involved in personal, systemic change. I recognized that before anyone would make a change, they’d need to make sure it was congruent with their beliefs. One way to get there is to traverse – or be lead – through to the appropriate memory channels or value or data set they needed to consider, and use their own memories, their own beliefs, their own goals, in their own words, to be able to make a change congruent with who they were. It would be necessary for Askers to change their criteria from having answers to being facilitators. I eventually came up with a new form of question that I labeled a Facilitative Question. It uses specific words, in a specific order to go to the most appropriate memory channel in the right order to enable discovery without resistance; it includes time; it’s’ neutral; it limits the scope of response so it avoids elements that might spark defense or feelings; it has no bias, and the Asker cannot know the answer; there is no challenge to the underlying status quo. They’re quite different from conventional questions, and I’m happy to discuss more fully should anyone wish to speak with me about them. enable Responders to solve their own problems and be ready to change. This Facilitative Question (FQ) begins by expanding the viewing range to the full set of possibilities (i.e. ‘how would you know’), does not challenge the status quo (i.e ‘if it were time’), enables the consideration of possible change without demanding it or threatening the system (i.e. ‘reconsider’), and limits the area of analysis to a bite sized chunk so the brain isn’t overwhelmed (i.e. ‘hairstyle’). And used in the sequence of how decisions get made (my book Dirty Little Secrets discusses the 13 sequenced steps that all change decisions must traverse), this type of question leads the Responders brain to action. In fact, each FQ demands some form of action when responded to. 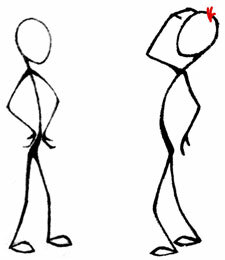 This conventional question challenges the Responder and attempts to elicit data for the Asker’s use, causing a defensive response (a reply would start with ‘Because’) and keeping the person in a very small, idiosyncratic, and personal response range which may end up not being about hair at all, but might send the person back to a fight with their mother 30 years prior, or a defense against their boss, or whatever. And while the Asker is most likely attempting to elicit a response they can ‘sell’ into, they are out of control. FQs actually define the parameters and give Askers real control. One of the skills needed to formulate FQs is listening for systems, listening without bias. When we listen with biased ears, we will only hear what we want to hear, or what our brains are set up to hear neurologically. When we can listen without bias (read my book What? Did you really say what I think I heard? on this topic) we can hear where the person is along their change cycle and where exactly to pose the next question (again, the 13 steps to change and decision making applies here). A new skill set, a new set of outcomes, and the real belief that everyone has their own answers. A bit of caution: sometimes people use my examples of FQs and change words, change the sequence, and change the intent. In other words, use a bit of what I suggest to, again, formulate a question to get what they want to get. In other words, it won’t be a FQ. FQs truly demand the Asker give up the need to be the change agent, have or seek ‘the answers’, or be in control. FQs direct people to the exact spots within their brain – the most appropriate synapses and memory channels – where their accurate answers reside, in the proper order the brain can use them to consider making a change that’s congruent with their lifestyle, while creating an interactive situation. Here’s a few examples that could benefit from FQs. The examples above are merely of single FQs. For most change it’s necessary to formulate a sequenced set of FQs that lead a Responder through their own congruent steps of change. These can be used in advertising and marketing campaigns; healthcare apps that sit on top of Behavior Mod apps and facilitate new habit formation; AI where apps or robots need to understand the route to change and decision making. I’ve been teaching it in sales with my Buying Facilitation® model for 40 years and companies such as DuPont take it into the field for their farmers to use, Senior Partners at KPMG use it with client consulting, Safelight Auto Glass uses it to compete against other distributers, and Kaiser Permanente uses it to engage seniors needed supplemental insurance, to name a few. If anyone would like to learn the HOW of formulating Facilitative Questions, I developed a primer in a FQ learning accelerator. Or I can teach you the full skill set. Or we can work together to develop or test a new initiative. Given how broadly my own clients have used these questions, I’m eager to work with folks who seek to truly serve their client base. By enabling Others to discover their own unconscious path we not only help them find their own best answers but act as Servant Leaders to decision making. What would you need to know or believe differently to be willing to add a new questioning technique to your already superb questioning skills? How would you know that adding a new skill set would be worth the time/effort/cost to make you – and your clients – even more successful? Should you wish to add the ability to truly serve others, let me know. Sharon Drew Morgen is the author of the NYTimes Business Bestseller Selling with Integrity and the Amazon bestsellers Dirty Little Secrets and What? Did you really say what I think I heard? 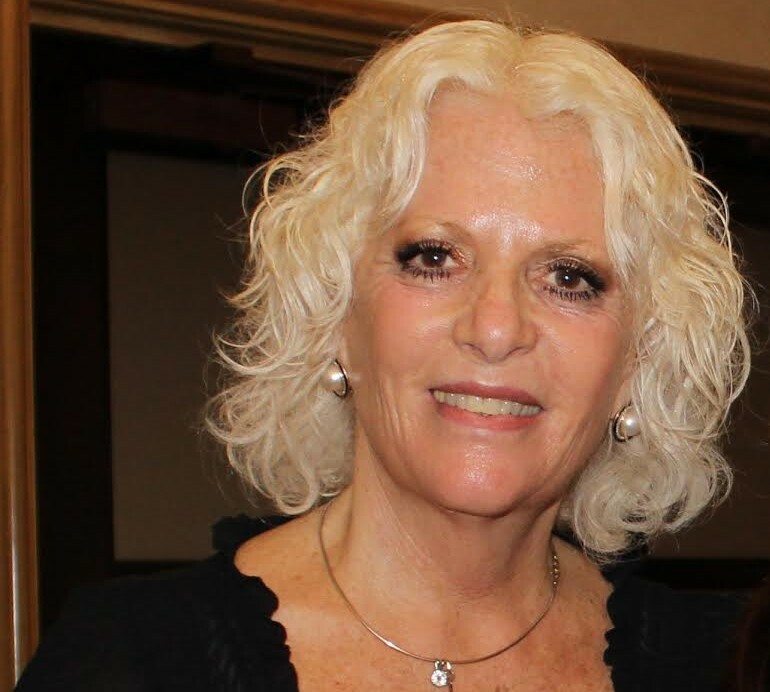 She is the inventor of Buying Facilitation® which she’s trained to sales people and coaches worldwide since 1985. Sharon Drew is an original thinker, thought leader, keynote speaker, coach, and consultant. Internal partners fail in attempts to promote and elicit proposed change initiatives across departments. Leaders get blindsided by unknowns, creating more problems or becoming part of the problem when attempting to find a fix. The system gets disrupted during the change process, unwittingly harming people, relationships, and initiatives. Improper, or non-existent, integration between developers and users cause lack of buy-in and resistance. The change doesn’t get adopted as conceived, with financial and personal fallout. But we’ll need to do something different from what we’re currently doing. Let’s begin at the beginning with my definitions of change and systems. 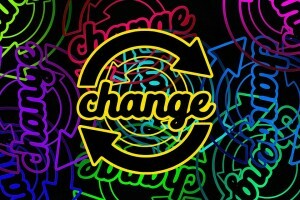 CHANGE: Change is a new set of choices within a system that cause the elements of the system to exhibit altered Behaviors while still maintaining homeostasis. No change can occur unless the system reorients (i.e. re-organizes, re-prioritizes etc.) itself in a way that incorporates and maintains its core accepted norms (i.e. homeostasis, Systems Congruence). In other words, all change must include a way for the elements to ultimately buy-in to, and incorporate, new functioning while maintaining the rules and Beliefs of the status quo. SYSTEM: Any connected set of elements that comprise a homeostatic entity, held together by consensual rules and Beliefs that then generate a unique set of Behaviors that exhibit its unique identity. All systems must maintain Systems Congruence or they lose their identity and become something else. Because change represents the disruption of the status quo in unknowable ways, systems defend themselves by resisting when feeling threatened. In order to facilitate congruent change, it’s necessary to get the agreement, and a recognized path forward (There are specific, sequential steps in all change processes. ), of all of the bits that will be effected by the final solution to ensure it maintains its core identity, Beliefs, and rules. are relegated to managing the fallout when the stable system reaches Cognitive Dissonance and is forced to defend itself. Herein lie the problem: until or unless the full complement of relevent elements (that not only created the problem but holds it in place daily) agrees to congruently alter, and get buy-in from, the elements that caused the problem and will be effected by any change, it will resist change regardless of the underlying problem that needs fixing. The system is sacrosanct. And it applies whether trying to get a teenager to pick up his socks, a diabetic patient to exercise, a team to work harmoniously, or a person to figure out if/when she needs to buy something. In general, outsiders cannot effect congruent change because they cannot know the core elements that have created and maintain the status quo, nor how to re-orient them congruently around any proposed change. It’s an inside job. Introduce a route to change that can achieve goals without resistance while maximizing leadership and creativity through buy-in and congruent change. In my forthcoming book (tentatively titled Facilitating Change) I’ll explore this topic thoroughly. In this article I’ll introduce the important elements and lay out my thinking. And I look forward to your feedback. All of the elements (people, policies, rules, relationships, etc.) that will be effected by a new solution – i.e. change – must begin by understanding, buying-in to, and accounting for, the ways they’d be changing to ensure the path they design for better funtioning leads them to homeostasis. Until all that happens the system will resist change (or buying, or learning, or eating healthy or or) regardless of the level of need or the efficacy of the solution. And because of the unconscious, historic elements involved, for congruent change to occur, those inside the system must design their own route to acceptable change. And as outside influencers we actually cause our own resistance by pushing our agendas, when we can actually lead Others through to their own change. Maintain Functional Stability. Systems must maintain homeostasis. Their current functioning, even when problematic, has been finely honed over time, waking up every day maintaining the Behaviors, rules, goals, etc. that created the problem to begin with. Change is not so simple as shoving in a new Behavior. Remember: a system doesn’t judge itself as ‘good’ or ‘bad’. It just is. And it keeps ticking over the same way day after day. Achieve Buy-In. Whether consciously or unconsciously, a system will resist anything from outside that threatens the status quo, regardless of the efficacy of the change. For successful change to occur, the system must recognize exactly what fallout will occur when anything shifts or is added, and how each affected element must modify itself in a way that maintains the integrity of the system (i.e. Systems Congruence). I can’t say this enough: the system is sacrosanct, quite separate from whatever reasons an influencer uses to change it. Maintain Underlying Rules and Beliefs. Great data or solutions, important needs or dangerous consequences do not influence the change if they run counter to the system’s homeostatic Beliefs and rules, overt or covert. (It’s why your Uncle Vinny still smokes with lung cancer, and why training doesn’t cause new behaviors.) Note when we attempt change a set of Behaviors without changing the underlying Beliefs that created those Behaviors to begin with, we cause resistance. And here’s a tip: when you start from inside out, from eliciting any change within a system’s Beliefs and rules (i.e. rather than ‘Eat your broccoli,’ start with ‘I’m a Healthy Person.’), new behaviors will automatically accompany them. Unfortunately, it doesn’t work the other way ‘round: when we attempt to push a new Behavior into the system – say, asking a heart patient to change her diet or exercise program – before eliciting Belief change from the entire (and largely unconscious) system, we will achieve resistance as it may be seen as a threat. It cannot be otherwise. The issues are the same regardless of the focus, whether it’s a company resisting reorganization, a patient refusing meds, a user group resisting new software, a buyer who hasn’t figured out when, if, how to buy, or a group not taking direction from company leadership. As outsiders we too often push for our own results and actually cause the resistance that occurs. It’s possible to use our positions as outside influencers eschew our bias and be real Servant Leaders and teach the system how to traverse each step of its own change. Here is a case study that exhibits how to enable buy-in and congruent change management by facilitating a potential buyer through her unique systems issues en route to a purchasing decision. Note: All change situations (whether coaching, leadership, software implementations, family problems, healthcare initiatives, etc.) must go through a series of steps to change to achieve buy in. Until now, we’ve left Others to manage the route through to the steps of change on their own as we push, advocate, advise, influence, manipulate for our own agendas and then we blame them when they resist – not to mention potentially not even reach their own internal route to change. I was with a client in Scotland when he received a call from a long-standing prospect – a Learning and Development manager at a prodigious university with whom he’d been talking for 11 months – to say, “Thanks, but no thanks” for the product purchase. After three product trials that met with acclaim and excitement, an agreed-upon price, and a close relationship developed over the course of a year, what happened? The software was a perfect solution; they were not speaking to any other providers; and price didn’t seem to be a problem. SDM: Hi, Linda. Sharon Drew here. Is this a good time to speak? Pete said you’d be waiting for my call around now. LR: Yes, it’s fine. How can I help? I already told Pete that we wouldn’t be purchasing the software. SDM: I heard. You must be so sad that you couldn’t purchase it at this time. LR: I am! I LOVE the technology! It’s PERFECT for us. I’m so disappointed. SDM: What stopped you from being able to purchase it? LR: We have this new HR director with whom I share a leadership role. He is so contentious that few people are willing to deal with him. After meeting with him, I get migraines that leave me in bed. I’ve decided to limit my exposure to him, discussing only things that are emergencies. So I’ve put a stop to all communication with him just to keep me sane. He would have been my business partner on this purchase. SDM: Sounds awful. I hear that because of the extreme personal issues you’ve experience from the relationship, you don’t have a way to get the necessary buy-in from this man to help your employees who might need additional tools to do their jobs better. LR: Wow. You’re right. That’s exactly what I’ve done. Oh my. I’m going to have to figure that out because I’ve certainly got a responsibility to the employees. LR: Could you send me some of these great questions you’re asking me so I can figure it out, and maybe use them on him? I sent her a half dozen *Facilitative Questions to both teach her how to design a route to her own sanity and a path to healthy collaborative partnership with the HR Director. Two weeks later, Linda called back to purchase the solution. What happened? 1. While the university had a need for my products solution, the poor relationship between the HR director and the L&D director created hidden, ongoing dysfunction. The information flow problem could not be resolved while the hidden problem remained in place – details not only hidden from the sales person (outsider) but used as a deterrent by Linda (who didn’t know how to resolve the problem other than to walk away because her own internal system had been violated). So yes, there was a need for the solution and indeed a willing partner, but no, there was no systemic buy-in for change. 2. I stayed completely away from attempting to resolve the problem by sharing, gathering, pitching information or my reasons why change (i.e. buying my solution) was necessary. (Not only is information not needed until the system knows what information it needs – if you haven’t figured out what type of car you want to buy there’s no need to hear a pitch about a Lamborghini – but the bias involved in sharing it and gathering it restricts success. There’s plenty of time to offer our solutions when we can pitch it relevantly, according to the way the system is set up to use it.). The only viable route was to help her figure out her own route to a fix. 3. This was not a sales problem (It’s always a ‘systems change’ problem, rarely a ‘coaching’ problem or an ‘implementation’ problem) – the Behaviors/outcomes were merely representing a broken system. I had to facilitate the change by enabling Linda to resolve her own system. This is how current change management models fail: they attempt to rule, govern, constrict, manage, influence, maintain the change, rather than enabling the system to recognize and mitigate its own unique (and largely unconscious) drivers and change itself congruently. 4. There was no way for the system to fix itself as long as the L&D director – merely one piece of the systemic puzzle that created the problem to begin with – didn’t know how to develop additional choices for herself. Her choice to do nothing was an ode to Systems Congruence. 5. In Linda’s unconscious decision to forgo a problem fix to maintain her own personal homeostasis, she unconsciously weighted her personal criteria above her criteria for doing her job. In order to buy the solution, she’d need to find a way to ensure personal Systems Congruence. Linda was willing to separate her work-related decision from her personal issues and reevaluate her choices once she realized there was a way to maintain her internal homeostasis AND fix the problem. Rule: Until or unless people grasp how a solution will match their underlying criteria/values, and until there is buy-in from the parts that will be effected from the change, no permanent change will happen regardless of the necessity of the change, the size of the need, the origination of the request, or the efficacy of the solution. Current change management models assume that a ‘rational’, information/rules-based change request and early client engagement will supplant the system’s need for homeostasis. Focusing instead on effecting Behavior change as per the route, goal, assumptions, needs of the influencer. Indeed, even when change agents attempt to include clients into the software design or change implementations, their questions and info sharing strategies are largely biased by their personal outcomes and unwittingly overlook the interdependency of core Beliefs, historic roles, unspoken rules and relationships, and unconscious drivers within the user’s unconscious system. Rule: Whether it’s sales, leadership, healthcare, coaching or change management, until or unless the folks within another’s system are willing to adapt to, and adopt, the requested change using their own rules and Beliefs, they will either take no action or resist to maintain the homeostasis of the system. The system is sacrosanct. And information push, rational argument, leadership directives, or any outside-in model threatens the system. Fortunately, it’s possible to highlight each pivotal element of change and get buy-in before attempting a change initiative. It requires an understanding of what, exactly, is a Behavior, and why starting by attempting to change the Behaviors/output of the system can only cause resistance. Behaviors are merely Beliefs in action – the physical transaction that exemplifies the underlying rules and values of the system. In other words, they’re the means a system uses to operate and perform its purpose – the end point, and certainly an ineffective place to begin change. Think of it this way. If you want your forward-moving robot to go backwards you might tell it why moving backward is beneficial, order it to move backward, offer scientific proof why moving backward is best, or push it. But until the internal programming is changed from the core, it cannot change regardless of how you position your request or push the robot backwards. Indeed, you might even break the robot in your attempts to get it to behave the way you want it to behave. 1. Enter with no bias. Help the system define the elements that created the status quo and must buy in to the change. These include anything – jobs, people, initiatives, relationships, departments – that the new solution will touch. Rule: Entering the decision-navigation portion of the change experience with bias or a personal outcome will impede the process and create resistance. Change agents must listen for systems without a biased ear (see my new book on this topic –What? Did you really say what I think I heard?) and eschew attempting to introduce information until the system is set up to change, knows what it needs to know (usually quite different from what we think it needs) and has achieved buy-in. 2. Help the system recognize all of the parts – the people, rules, relationships, presuppositions, workarounds – that created and maintain the status quo. Rule: Until or unless the system recognizes all of the factors, knows how they have contributed to the problems in the status quo, and ensures that they buy in to the change, it will not be able to give agreement. 3. Help the system figure out how to reorganize around the new change so it will not face disruption and will have all of the pieces in place to accommodate the change. Rule: The change cycle is the time it takes for the system to figure out its own trajectory so there will be minimal disruption during the change process. Joseph, a coaching client of mine, was a CMO in a small company (around 150 employees) had a problem: He wanted to implement a new customer-service initiative but had just joined the company and was fearful of making waves. He initially wanted to design the project, issue edicts, and fire those who didn’t comply with the initiative. After casually speaking with a few people about it, he got huge resistance. 4. Create award-winning service that would differentiate the company from all competitors and keep customers over time. He called a meeting with the entire company – even groups that the change process wouldn’t necessarily touch – and told them that he was thinking about expanding the customer service operations. He asked everyone to take a few hours to discuss, think about, and brainstorm what it could look like if they had an unlimited budget (which they didn’t have, but it would eliminate the money piece from their brainstorming), and said he’d meet with them the next week to get their ideas. He told them that this process was highly important, and he wanted it to be part of people’s daily discussions over the next week. He asked that each group have a spokesperson and historian to keep track of all ideas. The next week, Joseph met with employees again and asked for their input. He captured the ideas by audio and put them all up on an interactive website for the new ideas and told people to add their thoughts. He then sent them back to consider the ideas offered and generate even more. 1. What jobs would change? What jobs would be added/subtracted – and what would happen with the people whose jobs might be affected? 2. What needed to stay the same internally, no matter what? And how could this be included in the new initiative? 3. What might be the possible fall-out from the staff and from customers? 4. What could get in the way of a successful change initiative? Eventually, employees got into teams and developed solid implementation plans. Those folks who had to change jobs or had their work significantly restructured in a way that might cause resistance joined a management team or focus group and became part of the solution. And throughout the process, I listened carefully to hear points of discontinuity so we could stop and go through their internal examination of their steps to change. Did Joseph get everything he wanted? Well, yes and no. The new organization ended up far exceeding anything he had conceived. It had more creativity and leadership. It also cost more than he realized (time and money) to put everything in place. But it elicited buy-in from everyone: there was no resistance because everyone had bought in to the idea and made it their own. And over a short amount of time, the change paid for itself. This is only one method of facilitating change and avoiding resistance. I’ve developed a Change Facilitation model, used often in sales as Buying Facilitation®, that uses a unique skill set to enable core change. I’ve trained this to Senior Partners at recognized consulting firms, farmers in Iowa, tech people in Hong Kong, coaches in Kansas. It’s a generic model that influencers can use to elicit real change. I’m happy to discuss it with you (Sharondrew@sharondrewmorgen.com). get agreement, steps, criteria, and Behaviors for an intact, non-resistant, functioning system that welcomes the new initiative. Then introduce the change. Until now, we’ve assumed that resistance is a normal part of the change process. But we’ve effectively been pushing our own biased needs for change into a closed, hidden system. We’ve ignored the rule of systems and forgotten that the change we are suggesting will encounter a status quo that is trying to maintain homeostasis. But as we’ve explored above, it is possible to get buy-in without resistance. We don’t have to throw out the many wonderful change models out there. But we first need to get buy-in, and then the change will be welcomed rather than spurned or sabotaged. I contend that current Behavior Mod approaches are not only faulty, but seriously harmful to a large population of people who need to consider permanent change. You see, Behavior Modification does NOT instigate new behaviors or permanently change existing ones. In diet, smoking cessation, and exercise maintenance alone, there is a 97% failure rate for ongoing adoption of altered behaviors. Now let’s be honest here. If you’ve ever tried to keep lost weight off, or habituate a new exercise routine, or stop smoking, or… you’ve probably tried to modify your current behaviors by doing the same thing differently, or doing a different thing the same. Diets always work. It’s when we try to return to ‘normal’ that our lost weight returns. The problem isn’t the diet. This essay is about conscious behavior change. For this, I must take you to the source – into your brain – to not only understand why you behave the way you do or resist new behaviors, but HOW to actually elicit the behaviors you want. Conventional thinking usually explains the WHAT and WHY, but fail to teach the HOW. In this article I’ll lead you through HOW your brain causes your behaviors, and where the inflexion points are so you can intervene and consciously design your own behaviors (or lead your patients and clients through to their best choices). I’ve tried to make the more procedural stuff fun and relatable so you’ll barely notice. Enjoy. I suspect most people haven’t considered what a ‘behavior’ denotes. Behaviors are our identity, our beliefs, our history/norms/life experience in action, in the service of representing us to the world, to show people through our actions what we stand for. It’s how we show up as ‘us’ every day – the demonstration, the expression, the translation of who we are – the external actions that portray our internal essence, beliefs, and morals. Like an autobiography is the written representation of a life but not THE life. Like going to church represents us practicing our faith but not FAITH. Behaviors are the visible depictions of each of us. Behaviors don’t occur without a stimulus. Nor do they operate in a vacuum. And they are always, always congruent with our beliefs. You know, without asking, that someone wearing a bathing suit to a church wedding most likely has different beliefs than the other guests. It’s not about the bathing suit. In our brains, behaviors are the output of physiological signals, much as words and meaning are the output of our brain’s interpretation of electrical signals coming into our ears. 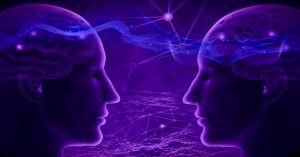 In other words, it’s all happening unconsciously through brain chemistry: behaviors are merely the end result of a very specific sequence of chemical signals in our brains that traverse a series of congruency checks that ultimately agree to act. Below is a summary of the physiology of what happens in our brains – the step by step path – that ultimately leads to behaviors. Here you’ll recognize exactly where and why Behavior Mod fails. For those wanting to skip the brain stuff, go directly to the CASE STUDY below. But don’t forget to peek at the great graphic of the HOW of decision making just below. For those of you who love to learn esoteric stuff, here is an overview of the physiology of our brain’s path to a behavior: from an Input/Cue that starts the process and signals that an action is requested, through our filters and trials that check the signal for risk, through to a STOP or an Output/Behavior. It’s what our brain does to cause us to behave, or not. SIGNAL/CUE/MOTIVATION/INPUT: We start by giving ourselves some sort of CUE, an instruction or request, to take action, whether it’s to brush our teeth, or move our arm, or eat a salad. This signal traverses a neural pathway to get to the next stage, the CEN. 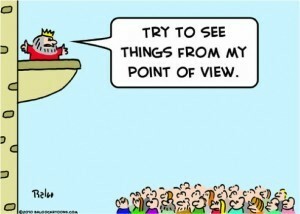 CEN/BELIEF FILTER: Our Central Executive Network, or CEN, filters all requests through our beliefs, morals, and norms. If the incoming cue is congruent with our beliefs and determined to have no risk, we peruse our lifelong history and trillions (literally) of neural pathways to find an existing behavior we’ve used before that matches the request. If one is found, there’s an immediate GO and you get a CUE –> BEHAVIOR, or in other words, INPUT –> OUTPUT match immediately. This happens when you get into your car and automatically put on your seatbelt, for example. But if the motivating cue is incongruent with our norms and beliefs there is a STOP or resistance. This happens a lot when people try to do something they dislike, like add working out to their schedules, for example, because they believe they should – and they hate the gym, hate working out, and hate taking the time out of their day. Or something they’ve tried and have failed at. Or something that goes against their beliefs. For the past 10 years, after decades of unsuccessfully trying to convince myself to get to the gym, I finally created a new habit and now go 8 hours a week – AND I HATE THE GYM. First I changed my cue. I told telling myself that as a healthy person, I believed (CEN) I am fit in mind, body, spirit. Now, if I want to be a slug, I ask myself if I want to be a healthy person today. Thankfully, I do 90% of the time. The job of the CEN is to let in the good stuff and stop the bad. Behavior Mod doesn’t have the ability to change cues, and address belief filters. STOP a signal if a risk uncovered, and no new behavior is formed. Obviously our brains are set up to filter out what they believe will harm us. And anything new that has not been bought into, or tested to fit in with our other norms, will be deemed a risk, regardless of the efficacy of the new or need for change. 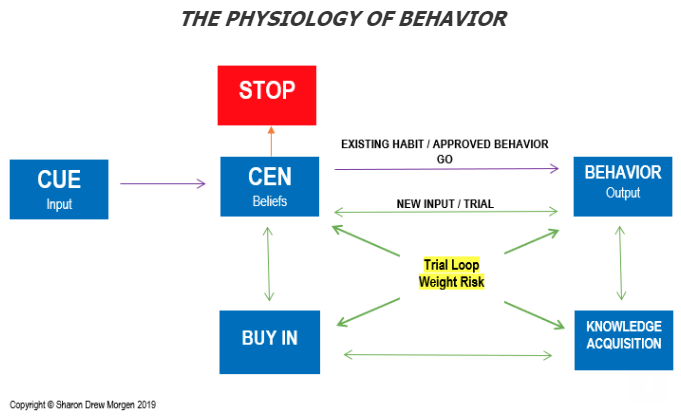 We’re attempting to change a behavior by starting from the output (behavior) end without going through the congruency process of weighting risk and getting Buy In. You can see that behaviors are at the end of a chain of physiological events, the final step along the neural pathway between the input cue and action. The end. The response. The reaction. Nowhere do they occur on their own. Behavior Mod attempts to effect change at the output where an existing behavior is already in place, hoping that by practicing a preferred behavior over and over and over, different results will emerge. Obviously it can’t work. New behaviors activate and will permanently take hold ONLY once instructed by an input stimulus that has then been approved by your beliefs and weighted for risk and congruence. In other words, when you try to change a behavior by trying to change an existing behavior, you’re trying to change the output without getting necessary Buy In for change. It’s not even logical. It’s why diets and exercise regimens fail: people try to change their existing habits rather than form wholly new ones with different signals that lead to wholly different – and more successful – routines. Consider a robot that has been programmed to move forward but you want it to move backward. You tell it why ‘backward’ is best, you pitch it reasons it should want to move backward, you tell it a story about why moving backward is advantageous, and you even try to push it backward. But until you reprogram it, it will not go backward. It’s the same with us. We must create new incoming cues, go through a trial loop that weights risks/tries/fails/tries/fails, gathers necessary data along the way, and gets agreement to develop a wholly new neural pathway to a new action that’s congruent. You cannot change a behavior by changing a behavior. It’s also impossible to expect permanent change when we omit the entire risk-check element of our Buy In process. The risk to our system of becoming imbalanced by shoving in something foreign into a system that’s been working just fine, is just too great, regardless of the efficacy of the new, and any new inputs will stop behaviors that haven’t been vetted. And Behavior Mod supersedes these tests by trying to push the change from the output end, before it’s been vetted. Here are three of the key elements involved in how we choose to behave differently. It’s systemic. SYSTEMS CONGRUENCE. The role of systems here cannot be underestimated because they’re the glue that holds us together. I am a system. You are a system. Your family is a system. Every conglomeration of things that follow the same rules is a system. Every system has its own status quo – its own unique set of norms, beliefs, identifiers that show up, together, and are identified as Me, or My Family, or My Work Team. The system of people working together at Google will be different from the system of people working together at Kaiser Permanente, with unspoken rules that apply to dress codes, hiring practices, working hours, relationships, the way meetings are run. The job of our status quo is to maintain Systems Congruence (You learned that in 6th grade. 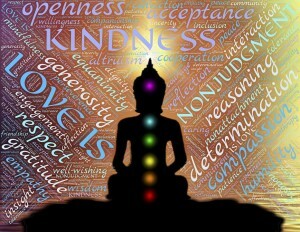 It means that all systems, all of us, seek balance, or Homeostasis.) so we can wake up every day being who we were yesterday. And all day, trillions of signals enter into our brains and lead us to behaviors that have met the criteria of systems congruence and safety. These are our habits. Indeed, our brains check all incoming signals for incongruence before behaviors are agreed to, making sure we remain in balance minutely. Any time you try (and try and try and…) to behave in a way that unconsciously causes imbalance within you – when you push against an existing habit or action and try to get a different behavior – you’ll experience resistance or sabotage. For any proposed change, to maintain congruence, your system must agree, Buy In, in a way that matches your beliefs, identity, and norms. And it’s physiologic, chemical, automatic, and unconscious. Our brains do this for us every second of our lives. Behavior Modification supersedes this process, trying to induce behavior change in a way that risks generating imbalance, or Systems Incongruence – and inaction. INPUT. Any new input signals will only become a behavior if they are congruent with the beliefs, identity and norms of the person’s system. When you wish to change a behavior, it’s necessary to input the correct message as all that follows is a response to the input cue. I recently asked a friend with a long history of trying to lose weight permanently what she tells herself to begin (her stimulus). ‘I tell myself I’m a disgusting slob.’ Since different inputs will be assessed by the CEN uniquely and each achieve different outputs, being a ‘disgusting slob’ will invite the same behaviors that caused her to be a ‘disgusting slob’ to begin with, and she’ll fail over and over; she’s inputting the same signal expecting a different response, but her brain will only seek/find the old response. trialing any new behaviors for congruence, that result from adding the new knowledge. If at any point a risk is determined to put the system out of congruence, it will stop the new behavior. If the input cue is determined safe, it will agree to create a new behavior. Not to kick a dead horse, but Behavior Mod does not address this at all. That’s why it fails so often. So if my friend wanted to permanently lose weight, she’d input something like “I’m a healthy person”, discover which of her beliefs are connected to that (“As part of my health practice, I eat nutritionally healthful food that works well with my lifestyle.”), and go through a trial loop that would include her doing research and possibly blood tests to see what types of food best align with her being healthy, and end up with a new set of healthful eating behaviors. Ultimately she’d have a lifetime food plan that kept her healthy, congruent with her beliefs about herself and habituated into her life. And her eating would become part of her system and become habituated. I’ll share a recent experience I had using this process with my neighbor. In it I’ll label each element within the Buy In process in the chart above. My neighbor Maria once came to my house crying. Her doctor had told her she was borderline diabetic and needed to eat differently. He gave her a printed list of foods to eat and foods to avoid and sent her on her way. At my house she told me she’d been trying for months, lost some weight, but finally gave up and went back to her normal eating habits and gained back the weight. But she was fearful of dying from diabetes like her mother did. Apparently the fear of death wasn’t enough to change her eating habits. She asked if I could help, and I told her I’d lead her through to finding her own answers. Here was our exchange. SDM: What are your beliefs that go with being a mother and grandmother? SDM: So I hear that tortillas are the way you keep your family happy but the lard in them is unhealthy for you. Is there any other way you can keep your family happy by feeding them without putting your own health at risk? As you can see, just from entering the problem with a different hat on – helping patients figure out their own route to change and Buy In instead of trying to drive it – using a different curiosity and a different questioning system, it’s quite possible to guide people to discover their own best choices that are congruent with who they are. I realize my ideas aren’t in the mainstream at the moment. But just because Behavior Mod has such a stronghold in the healthcare field doesn’t mean it can’t be reexamined or appended. And just because Behavior Mod has been the accepted model to induce change doesn’t mean it’s successful. Remember when we believed top down leadership was the way to go? Millions of books sold? Billions spent on consultants? I’m offering something new here that deserves consideration. And it’s not either/or; it can be both/and. You don’t have to throw away what you’ve got, just add a front end to stimulate Buy In. I’ve used this approach to train a large number of sales folks globally to facilitate buying decisions and it was quite successful. And here’s an article I wrote on adding my change facilitation concepts to Behavior Mod, should you have interest. There are plenty of uses for this add on. Think of enabling patient Buy In for obesity or cardio clinics, to help patients design a work-out regimen for heart health. Or for diabetes sufferers to design a healthful food plan for life. Or athletes trying to change an inferior swing, or develop a new pattern to their feet differently to run faster. What about helping yourself meditate daily or organizing your life. Or to get more sleep. We can help people alter their behaviors in a way that’s not only congruent with who they are, but helps them make their own best choices. But not with Behavior Modification alone. Contact me to put you on an advance list for a Buy In program I’m running in June with Learning Strategies. In it you’ll learn how to design your own flow chart from Cue to Behavior to have conscious choice whenever you want to make a change. And if you have any interest at all in testing this model, or just sharing ideas, I welcome the conversation. sharondrew@sharondrewmorgen.com.